Brazilian Indian Sonia Guajajara and over a hundred supporters protested today in Paris against Brazil’s construction of a series of mega-dams in the Amazon rainforest. 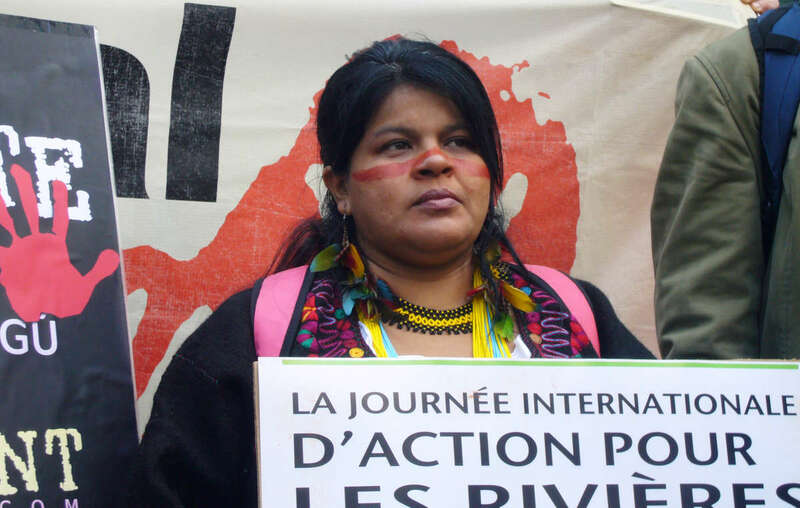 Brazilian Indian Sonia Guajajara led a protest in Paris today – the International Day of Action for Rivers – calling for a halt to the construction of mega-dams in the Amazon. Sonia led over a hundred protestors to the offices of French companies GDF Suez, EDF and Alstom, which are involved in the construction of several destructive dams. She led the group in forming ‘human waves’ which crashed into the office buildings to represent the destruction of large Amazonian dams by the global anti-dam movement. The group then carried its messages to the River Seine. Survival supporters carried placards reading ‘STOP AMAZON DAMS’. Sonia, of the Guajajara tribe in the north-eastern Amazon, is the national coordinator of the Association of Indigenous Peoples (APIB), a network of indigenous organizations in Brazil. 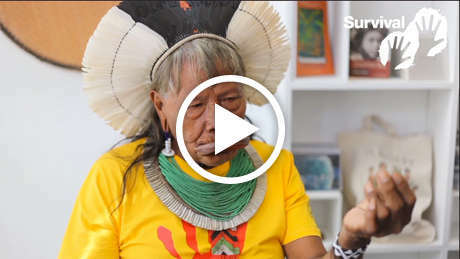 She said, ’Brazil’s reputation is at stake… We are here to bring visibility to the unacceptable prejudice and discrimination suffered by indigenous peoples and to demand that it stops’. Despite fierce opposition, Brazil is forging ahead with its construction of the massive Belo Monte dam on the Xingu River, and the Madeira and Tapajós river dams, all in the heart of the Amazon rainforest. Sonia Guajajara urged the Brazilian government and French companies GDF Suez, EDF and Alstom to stop the construction of several destructive dams. Thousands of Indians have been protesting against these projects, warning that they are devastating the forest and putting at risk the lives of the thousands of Indians who live there. Indian leader Megaron Kayapó said, ‘Which rivers will we have for fishing? 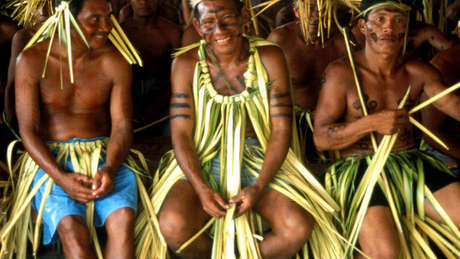 The Xingu is our river, our supermarket… We live by hunting, fishing, and planting… We have always been against it (Belo Monte), and we will always be against it’. The uncontacted Indians living near the dam construction sites could be completely wiped out by outside diseases brought in by the thousands of migrants being drawn to the areas. On Tuesday, Sonia denounced Brazil’s abuse of indigenous rights at the United Nations in Geneva, including the government and landowners’ aims to weaken indigenous rights and open up indigenous territories for massive industrial projects. 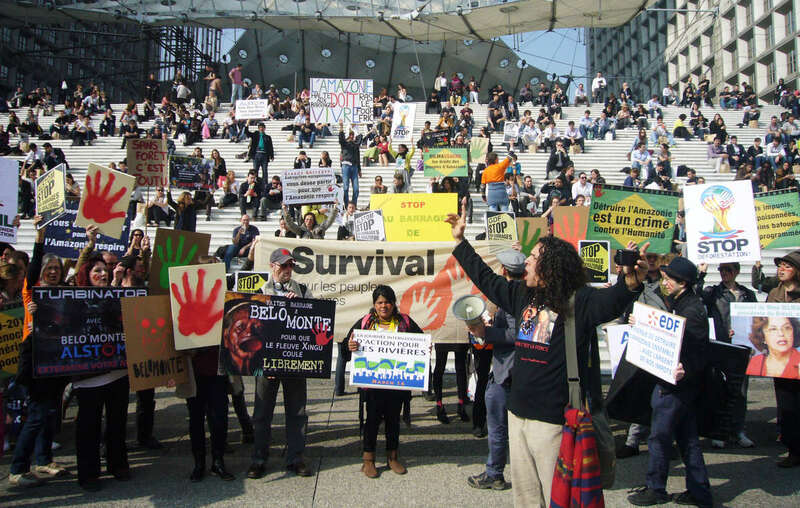 Sonia’s visit to Europe was coordinated by Amazon Watch, France Libertés and Planète Amazone. Read Survival’s report highlighting the hugely negative impacts of large dams on indigenous peoples worldwide.